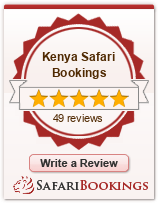 Depart Lodge and drive through the reserve viewing game as you proceed to the main Narok road. On reaching Narok, we halt to give you a chance to buy souvenirs, or just to have a cup of tea. Back to Nairobi in the afternoon. Drop off at your hotel.